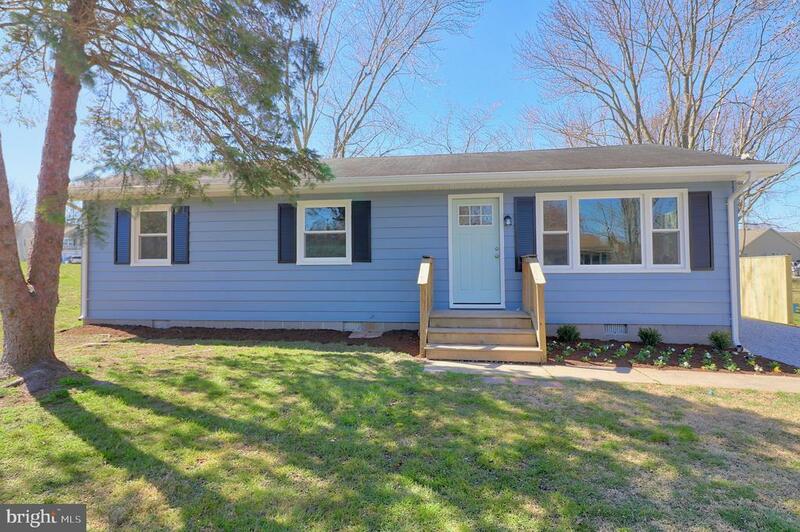 This completely renovated home is inviting, efficient, perfectly move-in ready, and "right-sized" for simple affordable living. Comparable to new construction quality at a fraction of the cost. The open-style kitchen features brand new cabinets, granite counters, and stainless steel appliances. In addition to the new wall-to-wall CoreTec flooring (with lifetime warranty) and fully renovated bathroom, the home offers great peace of mind and low maintenance costs with its all brand new appliances, new mechanical systems, new doors and new high-efficient double hung windows with low-e, argon-filled double paned glass. This is an exceptionally energy-efficient home with R49 insulated attic, an encapsulated and insulated crawlspace, and a brand new SEER 16 energy-efficient heat pump to quickly and affordably heat/cool the home. The home was energy audit tested to meet Home Performance with Energy Star energy-efficiency standards. Recreational opportunities abound as the home is conveniently located about 1/4 mile from the gated entrance of the beautiful, highly-rated Queenstown Harbor public golf course (with membership opportunities) and it is just minutes away from a multitude of marinas offering easy access to the Chesapeake Bay. The property is on public water and sewer service, so no well or septic maintenance is needed. No restrictive HOA rules/regulations apply to this community.